Since it's the end of summer, before I move on to all of my new Fall recipes, I figured I'd do just one more recipe involving summer squash. Many of my friends have home gardens, and by now they have TONS of zucchini, so it's not uncommon for people to ask me if I know of any new squash recipes. 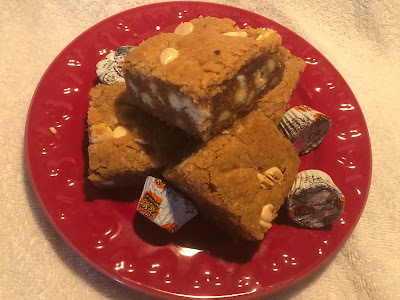 Quite a long while ago, I signed up for a daily recipe to be sent to my email from Just a Pinch Recipes. I must admit that very often I don't have time to go through every recipe that is sent to me, but every so often, one will make me stop for a minute and give a look. That's what happened here! This recipe is easy and simple, quick to throw together, and it's SO flavorful! Clearly this is the zucchini recipe I was looking for! It's also very much lighter than your usual cheesy casserole because it doesn't have any heavy ingredients like cream or mayonnaise. Btw, I know this is a "summer" recipe, but you can definitely make this recipe any time of year. Since squash is readily available, this just might be a perfect new addition to your Thanksgiving menu. You could even incorporate other kinds of squash into it. Endless squashabilities! Sauté onions and garlic in two or three tablespoons of olive oil and sprinkle with salt and pepper. Spread evenly on bottom of casserole dish. Stack zucchini and yellow squash on top of the onions, alternating vegetables. Make rows in the baking dish, standing the vegetables vertically in the pan. Continue until you fill the pan. Sprinkle squash with dried basil, salt, and pepper; then drizzle with olive oil. Cover pan with foil and bake for about 15 minutes. Uncover pan. Cover vegetables with Parmesan cheese. Return to oven for 10 minutes. Cover vegetables with mozzarella cheese and return to oven for about 5 minutes until cheese gets golden brown. Like I said, I didn't use a baking dish. I just sauteed the onions and garlic in a cast iron skillet, then added my rows of squash right on top, then put the whole thing into the oven. I didn't follow the amounts either. 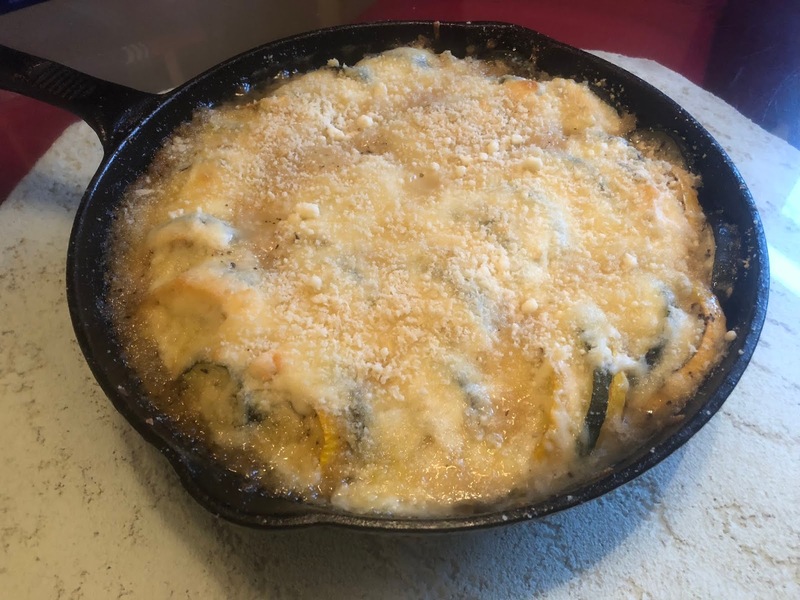 I started with an onion and 4 cloves of garlic as directed, but then I added squash until it was enough to fill the pan, and added cheese as much as I like. Since the sliced are stacked on their sides, I chose yellow squash and zucchini that are about the same diameter, but you can always cut them to fit. For a little extra topping, I added some bread crumbs to a bit of grated Parmesan cheese, then sprinkled it over the top.